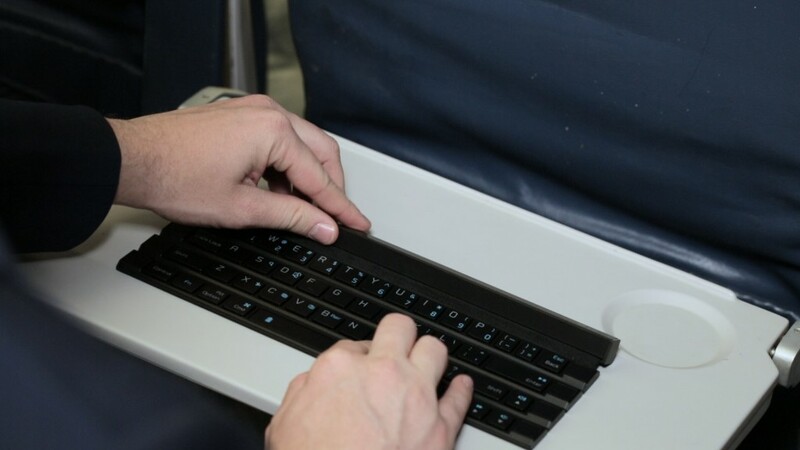 The U.S. could dramatically expand a ban on laptops and e-readers in airplane cabins, Department of Homeland Security Secretary John Kelly said Sunday. Kelly was asked by "Fox News Sunday" host Chris Wallace about whether he would implement a ban that covered all international flights entering or leaving the U.S.
Kelly also told Wallace that there are "numerous threats against aviation." He said terrorists are "obsessed" with the idea of "knocking down an airplane in flight, particularly a U.S. carrier, if it's full of mostly U.S. folks." If implemented, it would be a much broader restriction than what the department has previously hinted. Kelly told CNN on Friday that he would consider banning large electronics in cabins on flights departing from the U.S. to overseas. At the time, Kelly said, "We will make a decision when the time is right." Right now electronic devices larger than a cellphone are banned from the cabin on U.S.-bound flights from 10 airports in the Middle East and Africa. Nine airlines operate flights to the United States from those airports. The ban includes flights originating in Cairo, Egypt; Dubai and Abu Dhabi, United Arab Emirates; Istanbul, Turkey; Doha, Qatar; Amman, Jordan; Kuwait City; Casablanca, Morocco; and Jeddah and Riyadh, Saudi Arabia. --Editor's note: An earlier version of this story misstated the number of airlines affected by the existing electronics ban. CNN's Rene Marsh and Mary Kay Mallonee contributed to this story.